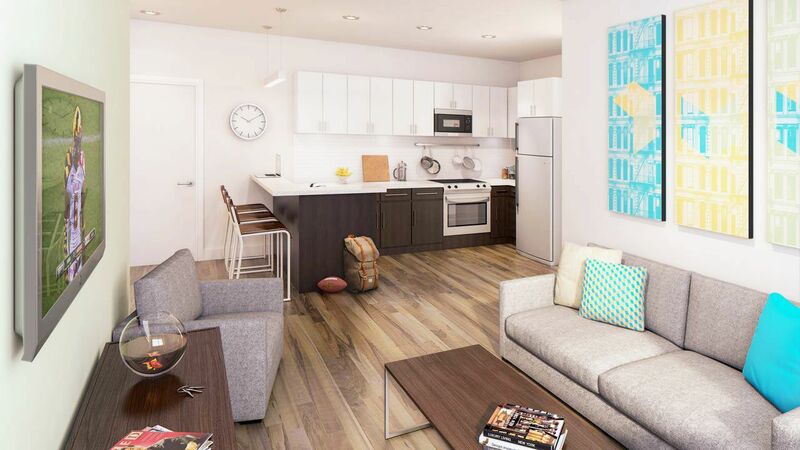 In student housing at Landmark Apartment, you’ll be based right beside the University of Maryland campus. On weekends, you can soak up the school spirit when you join 54,000 cheering fans supporting the Terrapins football team at Maryland Stadium. Practice your swing at the University of Maryland Golf Course, or jog through the crisp, autumn leaves in Greenbelt Park. Wander home via Ten Ren’s Tea Time café for a warming cup of ginger oolong tea, or stop by The Original Ledo Restaurant for a slice or two of their legendary rectangular pizza. You’ll never have to worry about sleeping in again when you make your home at Landmark Apartment. 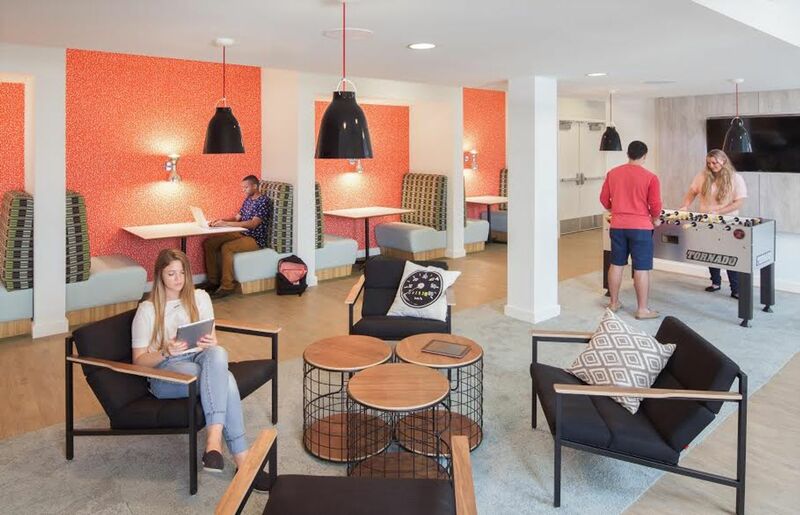 You’ll be a two-minute walk from the University of Maryland, and close to all of the facilities on campus. Choose a studio apartment for privacy, or share a spacious two or four-bedroom apartment with your friends. 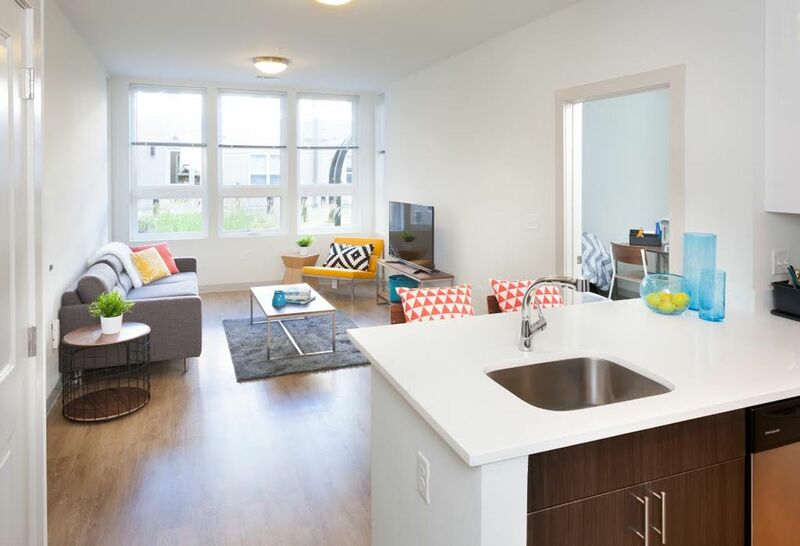 Either way, your new home will come fully furnished with all the mod-cons, and your rent will include internet, cable TV and utilities like water and trash. Eat breakfast each morning in your stylish kitchen, which comes equipped with quartz countertops and a dishwasher to take care of the pots and pans. Do a quick load of laundry in your washer dryer while you catch up on the morning news on your 50-inch flatscreen TV. Then, head downstairs to the communal coffee lounge for a quick caffeine fix and a pastry before strolling across to class. Everything you need is within walking distance, but if you choose to cycle or drive there’s lockable bike storage and secure undercover parking facilities. When it’s time to hit the books, you won’t need to trudge to the local library. There is a convenient study lounge with individual study rooms, high-speed internet and free printing facilities on site. There’s also a convenient Target Express store at Landmark Apartment for last-minute supplies. After a tough day of lectures, unwind with a yoga session in the fitness center, relax in the private zen garden or settle in for a film with friends in the high-tech movie theater. With electronic key access, surveillance cameras and staff available around the clock, you’ll feel safe and sound at Landmark Apartment. Buche jetzt und erhalte einen 100 $ Geschenkgutschein! Buche jetzt und erhalte einen 100 $ Geschenkgutschein!Wenn du jetzt einen Aufenthalt über 12 Monate mit Beginn im August 2018 buchst, erhältst du einen Gutschein im Wert von 100 $! Wir haben leider keine Unterkunft gefunden, die deinen Wünschen entspricht.Alle Privatzimmer in Landmark Apartment ansehen. Wir haben leider keine Unterkunft gefunden, die deinen Wünschen entspricht.Alle Ganze Wohnung in Landmark Apartment ansehen.